Disqus comment is a very popular comment system available for websites and blogs. It has plenty of features including reactions. 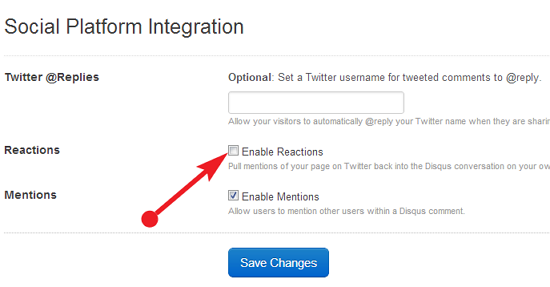 Reactions in Disqus are pulled in from Twitter directly, this allows more control over tweets. There is a option available to disable reactions on your disqus comment system. Do you want to hide Reactions feature? please follow the below steps. That's all you're successfully disabled reactions feature on your Disqus comment.